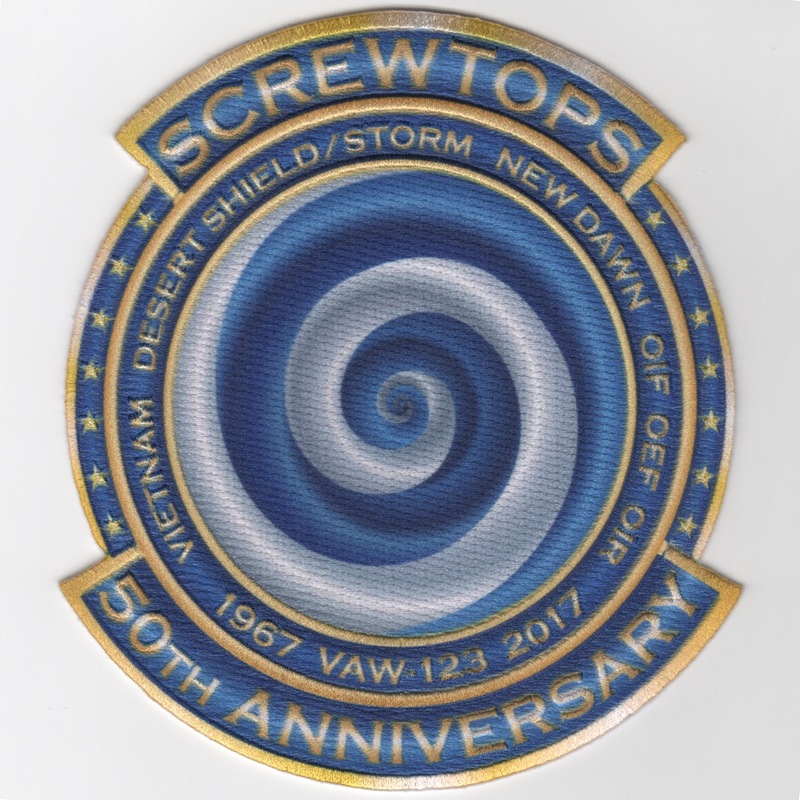 Another AV8RSTUFF creation for the "Screwtops" of VAW-123 that are based out of NAS Norfolk, VA and fly the Grumman E-2C Hawkeye. They were established in April 1967 and participated in Operation Desert Storm onboard the USS America (CV-66) with CVW-1. Their trademark is the screwtop design on the upper surface of the radar dome. 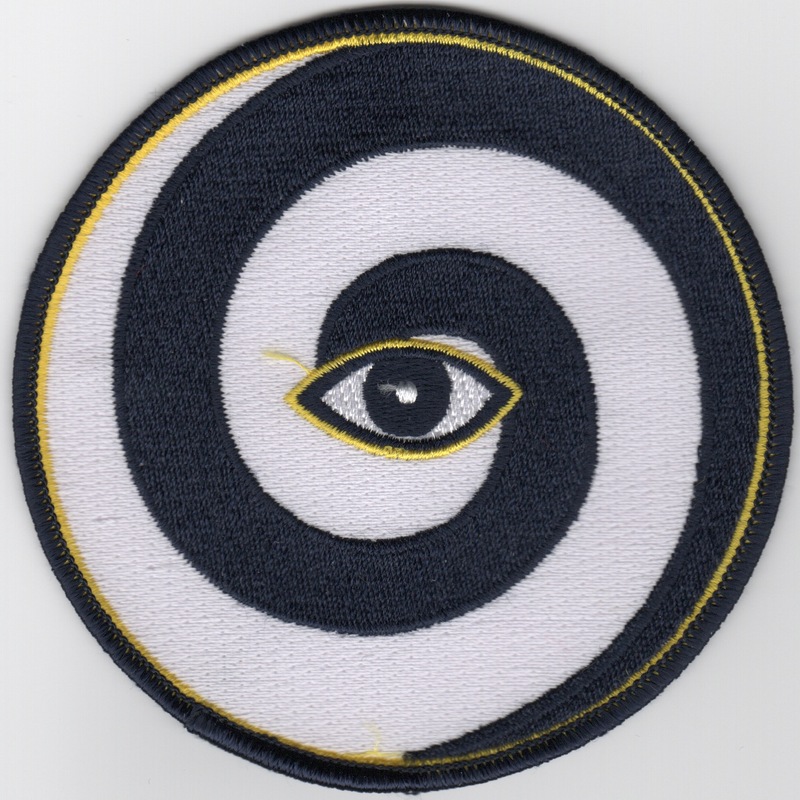 This patch uses the new "hybrid/sublimation" technology for INCREDIBLE detail!! and does not come with velcro attached. Another AV8RSTUFF creation for the "Screwtops" of VAW-123 that are based out of NAS Norfolk, VA and fly the Grumman E-2C Hawkeye. They were established in April 1967 and participated in Operation Desert Storm onboard the USS America (CV-66) with CVW-1. 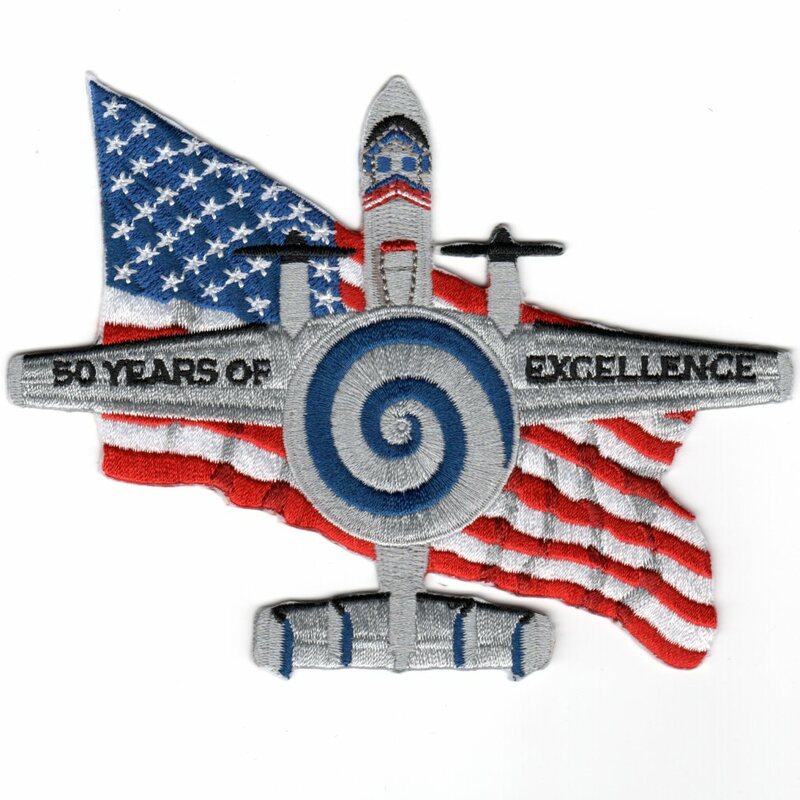 This patch was created for their 50th anniversary and shows the planform of the E-2C Hawkeye over the American Flag and does not come with velcro attached. The "Screwtops" of VAW-123 are based out of NAS Norfolk, VA and fly the Grumman E-2C Hawkeye. They were established in April 1967 and participated in Operation Desert Storm onboard the USS America (CV-66) with CVW-1. Their trademark is the screwtop design on the upper surface of the radar dome. The "Screwtops" of VAW-123 are based out of NAS Norfolk, VA and fly the Grumman E-2C Hawkeye. They were established in April 1967 and participated in Operation Desert Storm onboard the USS America (CV-66) with CVW-1. Their trademark is the screwtop design on the upper surface of the radar dome and this is the circular version of the top of their radar with the "All-Seeing Eye" in the middle. The "Screwtops" of VAW-123 are based out of NAS Norfolk, VA and fly the Grumman E-2C Hawkeye. They were established in April 1967 and participated in Operation Desert Storm onboard the USS America (CV-66) with CVW-1. Their trademark is the screwtop design on the upper surface of the radar dome. 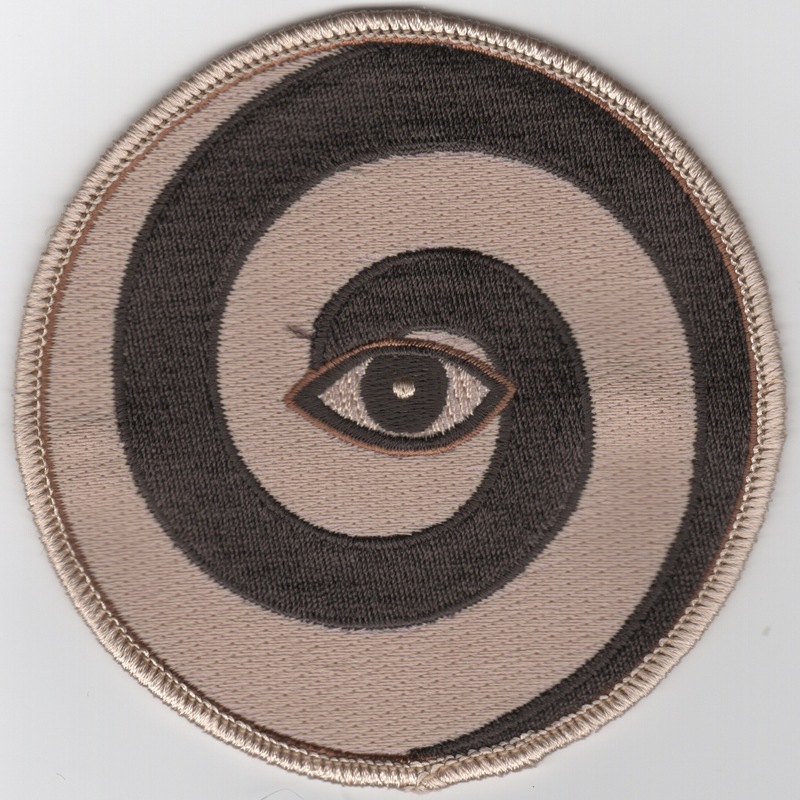 This is the desert version of their squadron patch. The "Screwtops" of VAW-123 are based out of NAS Norfolk, VA and fly the Grumman E-2C Hawkeye. They were established in April 1967 and participated in Operation Desert Storm onboard the USS America (CV-66) with CVW-1. Their trademark is the screwtop design on the upper surface of the radar dome and this is the circular desert version of the top of their radar with the "All-Seeing Eye" in the middle. This is the cruise patch from the VAW-123 "Screwtops" when onboard the USS Dwight D. Eisenhower (CVN-69). 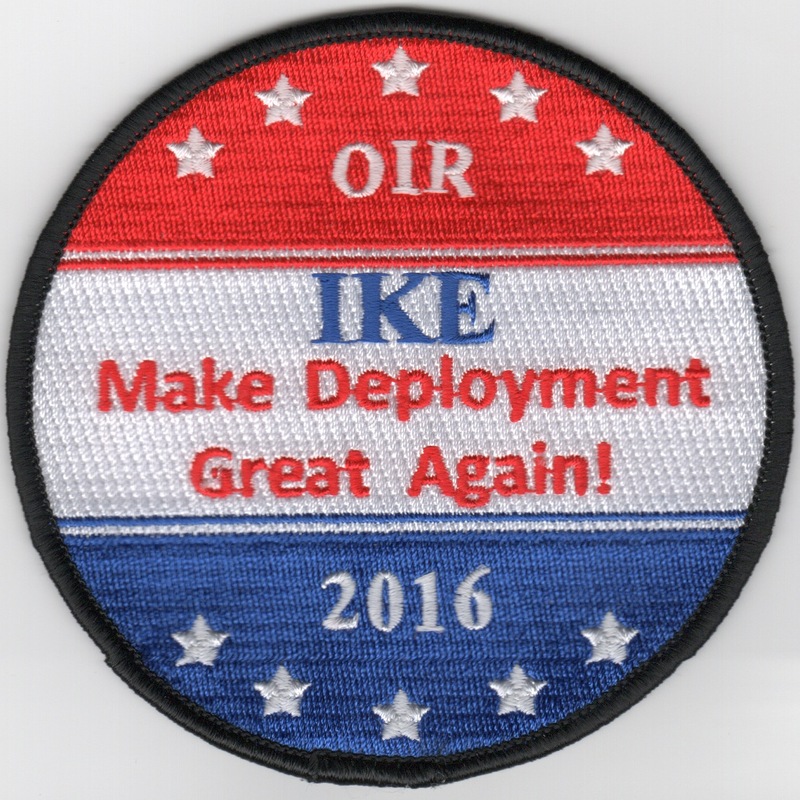 This is their 2016 OIR patch that says "Make Deployment Great Again" (obvious play on the POTUS). This came directly from the squadron and does not have velcro. 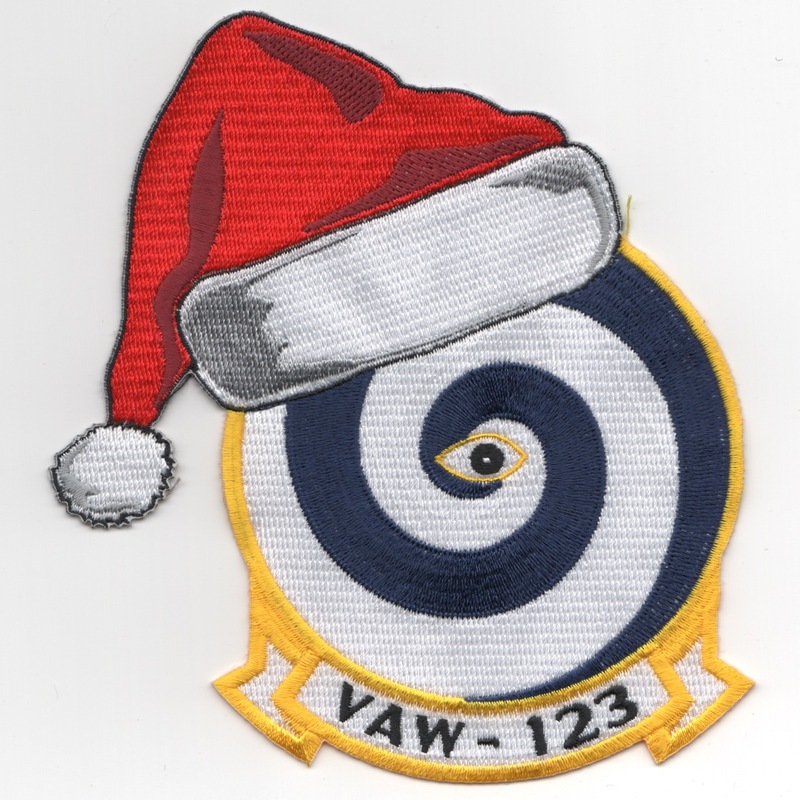 This is the 'SCREWTOPS' squadron patch that has the "SANTA-hat" on top of it. This patch does not come with velcro attached. The "Screwtops" of VAW-123 are based out of NAS Norfolk, VA and fly the Grumman E-2C Hawkeye. They were established in April 1967 and participated in Operation Desert Storm onboard the USS America (CV-66) with CVW-1. Their trademark is the screwtop design on the upper surface of the radar dome. 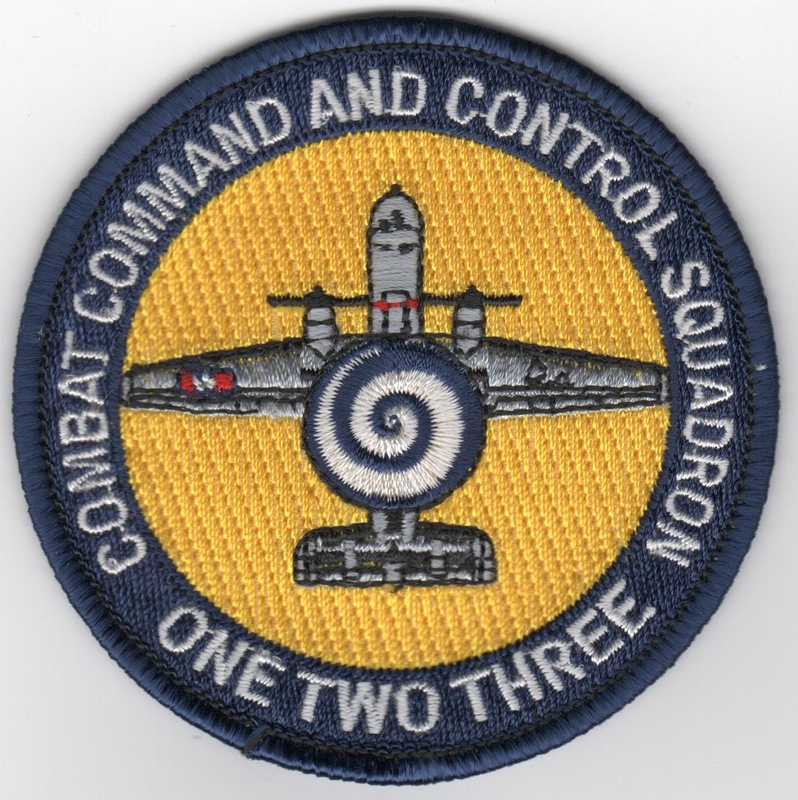 This is the "aircraft patch" for the students and instructors to wear on their flight suits for those that attend the Combat Command & Control (C3) school. 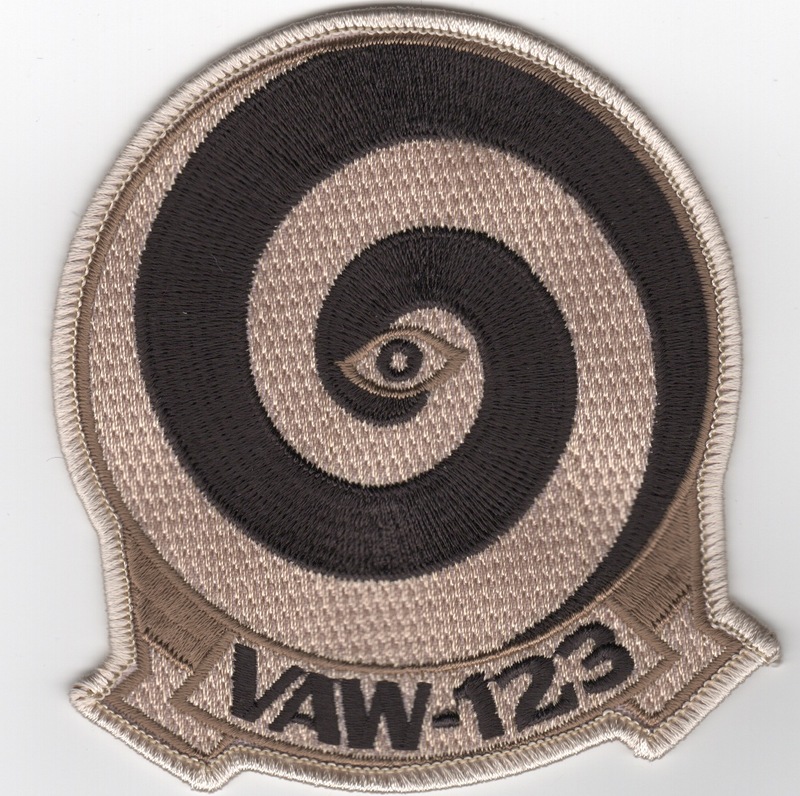 Homepage | Order VAW-123 Patches!